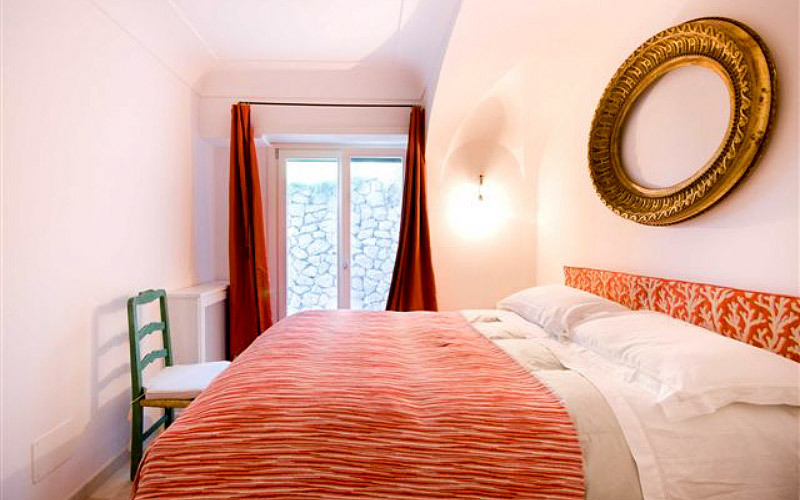 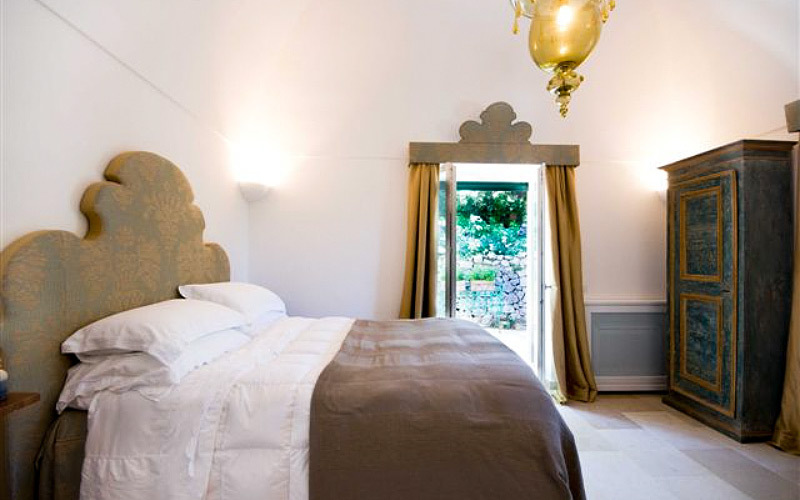 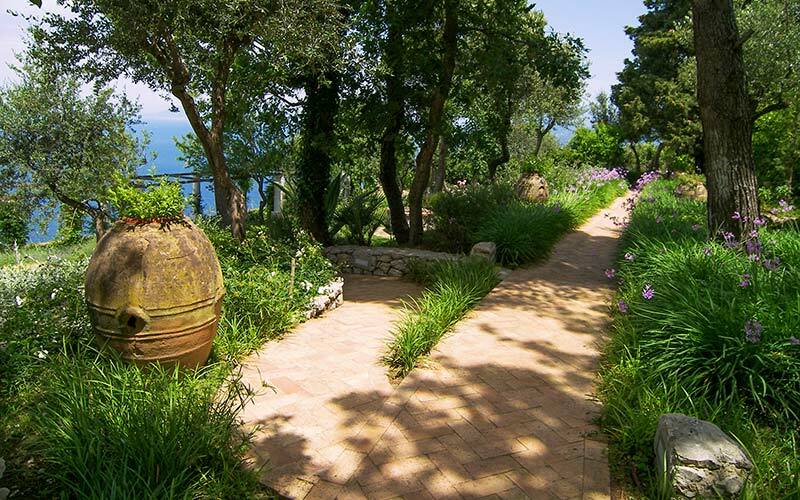 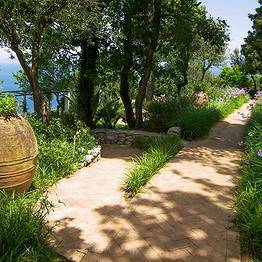 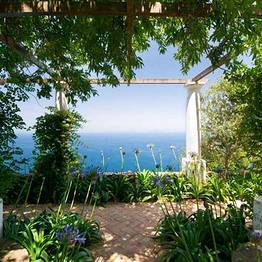 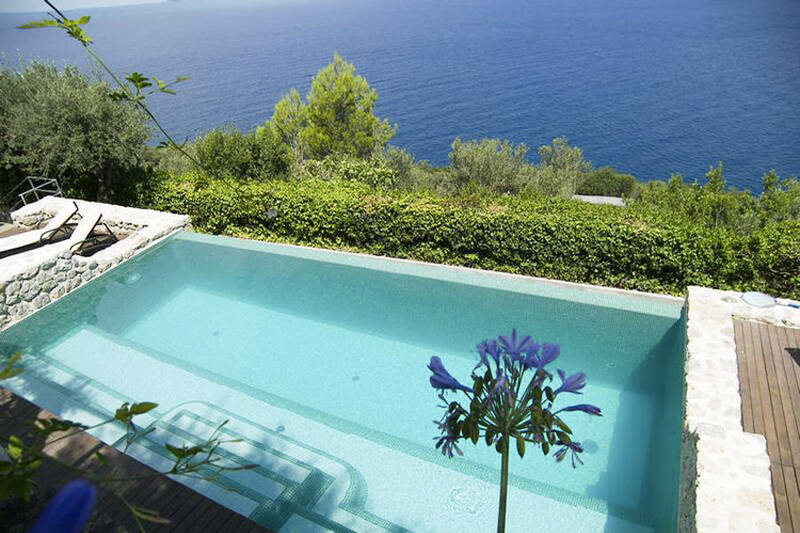 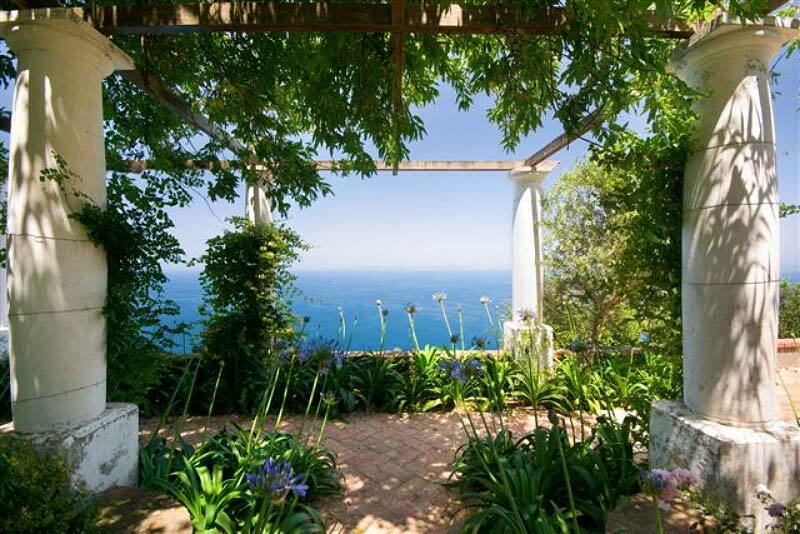 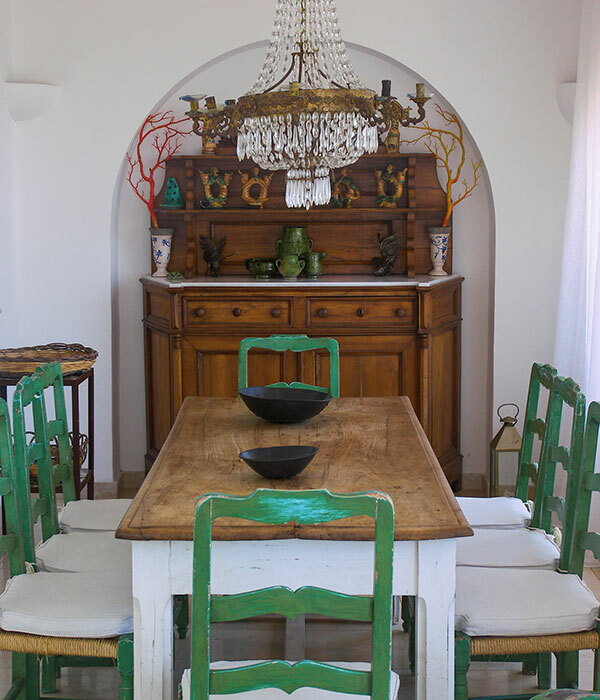 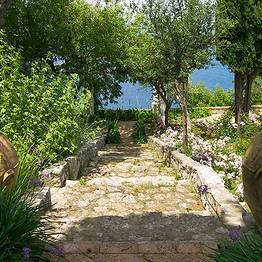 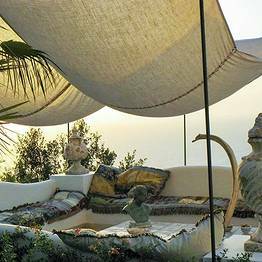 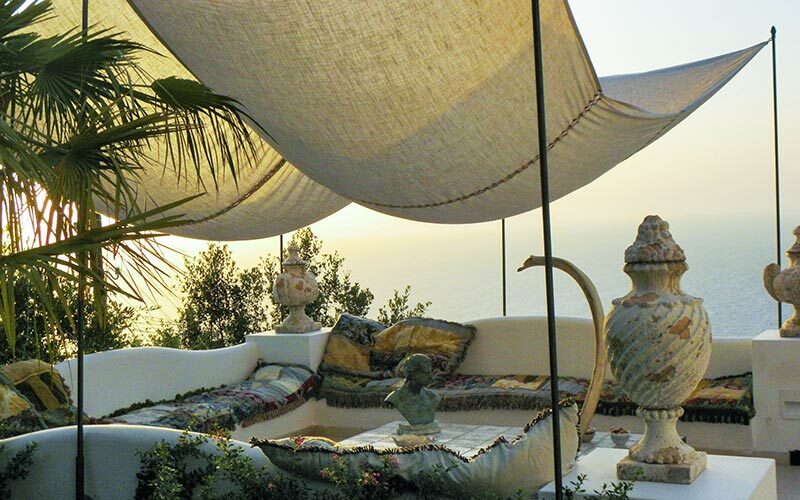 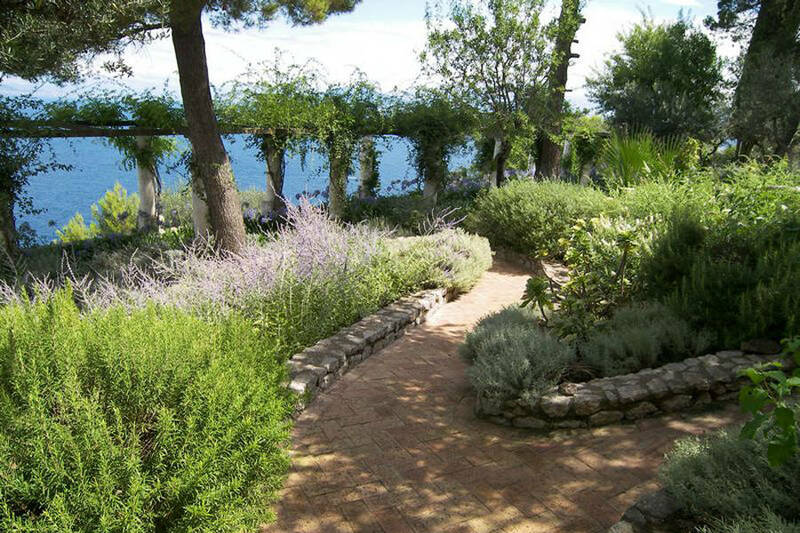 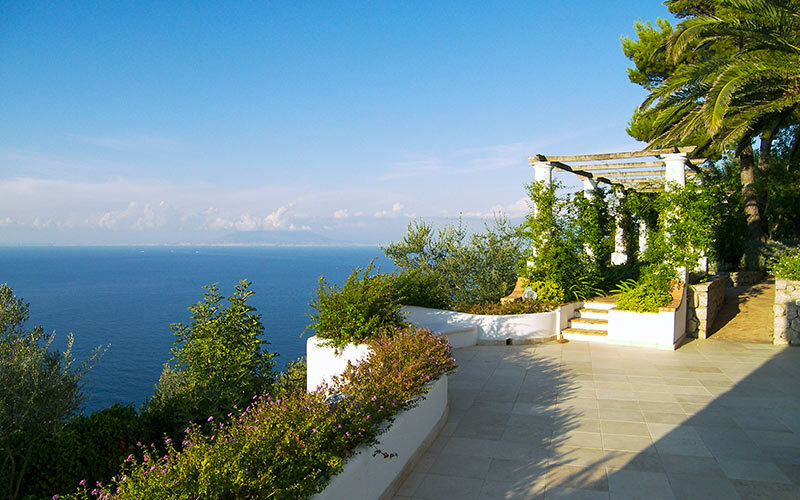 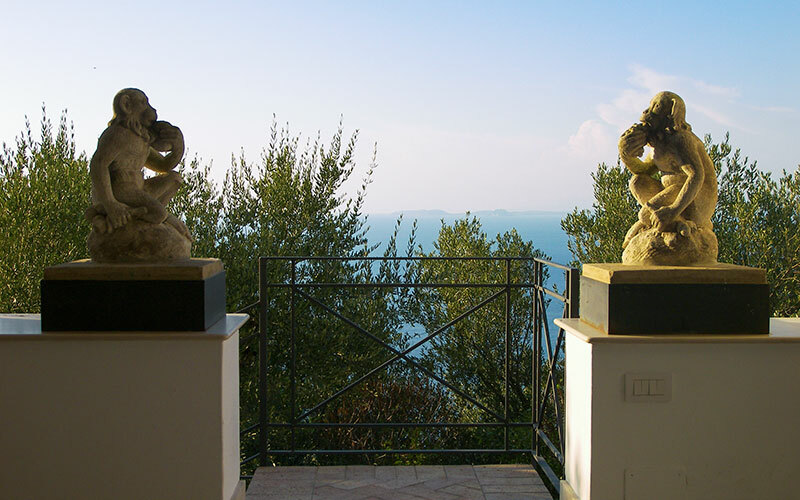 Villa Venere Capri: 3 reasons to book here | Capri Booking. 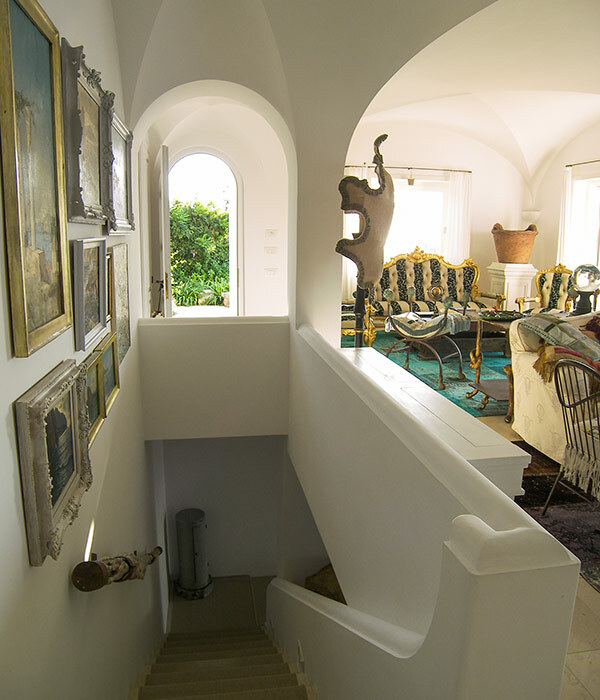 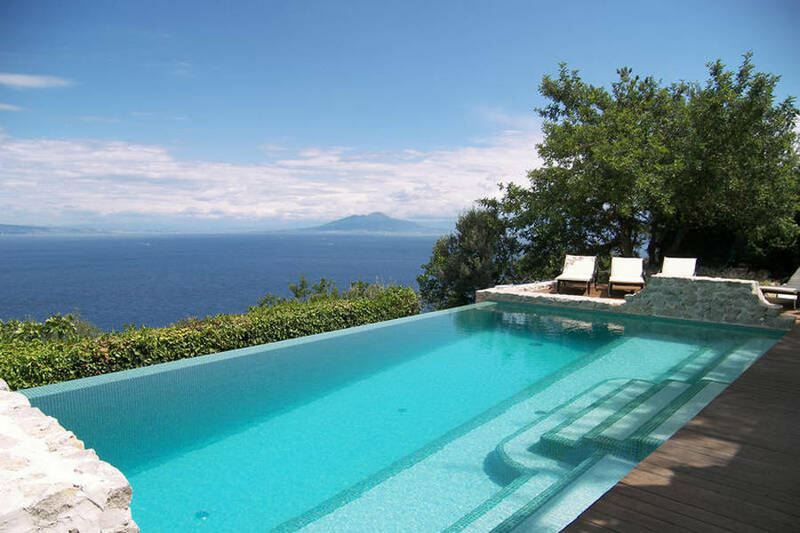 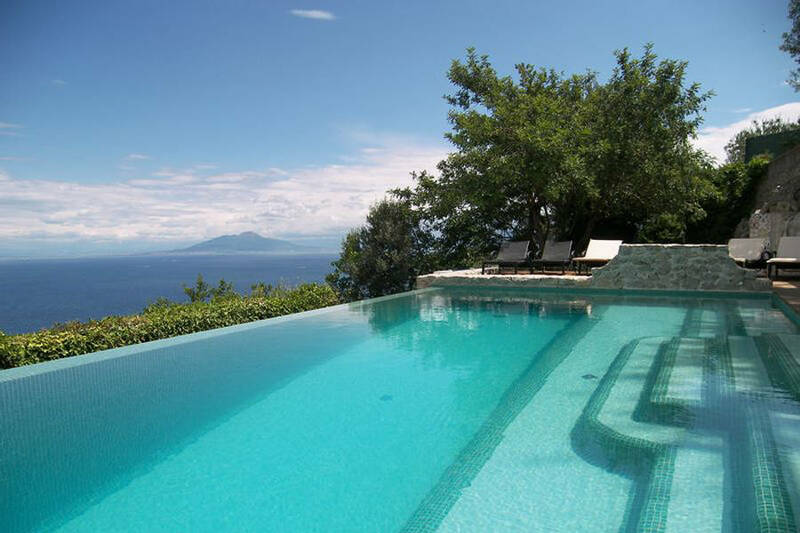 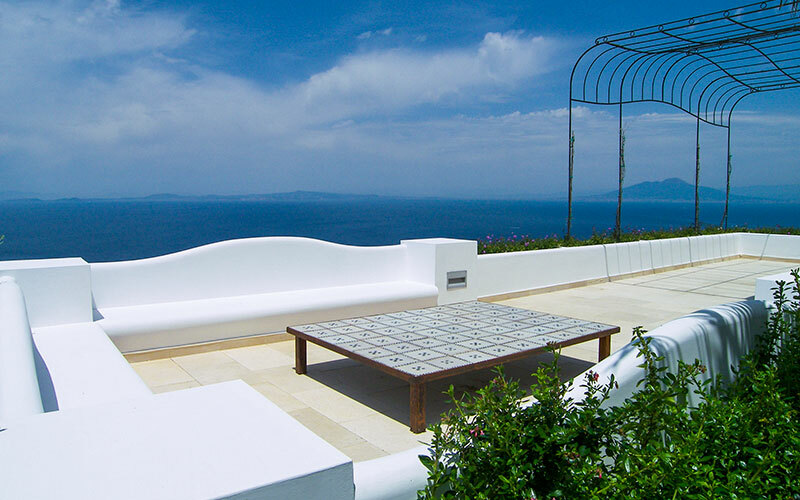 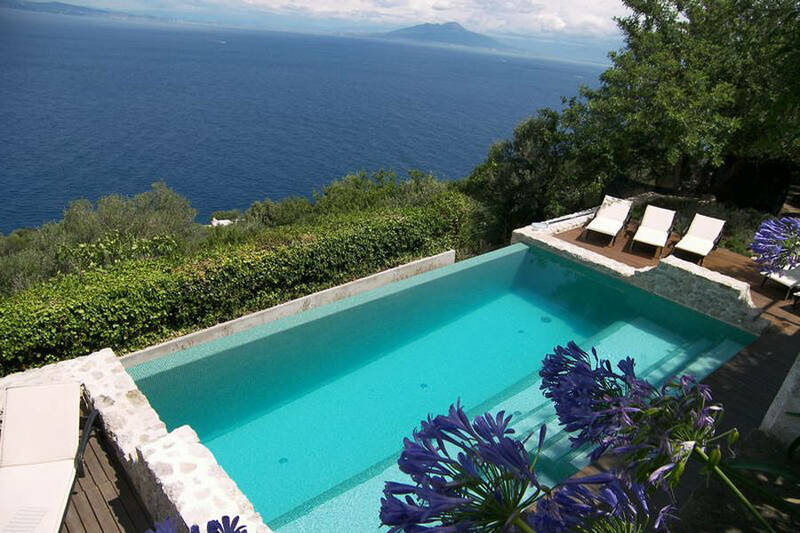 Imagine soaking up the Mediterranean sun as you float in a panoramic pool, surrounded by beautiful views of the sea, the Sorrentine Peninsula and the neighboring islands of Ischia and Procida... imagine lazy summer afternoons in peaceful Anacapri, at Villa Venere. 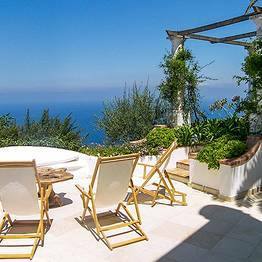 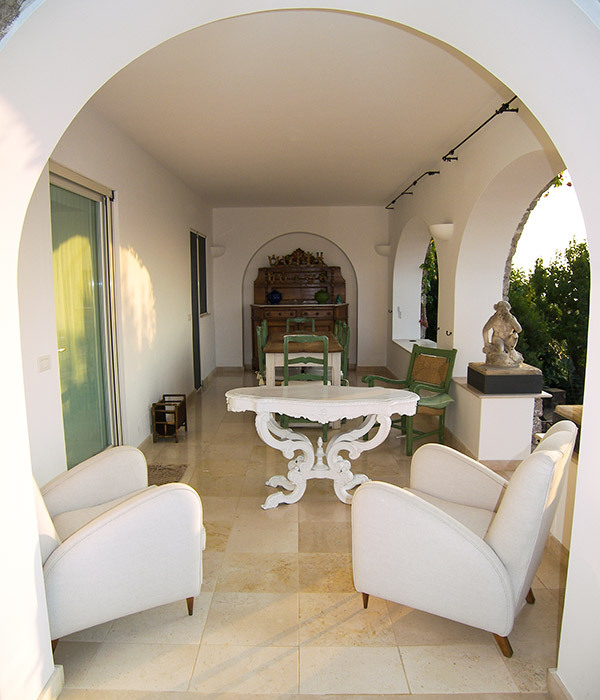 Everything at Villa Venere, from the five spacious bedrooms to the pristine white kitchen and the stylishly furnished indoor and outdoor seating areas, has "Capri" written all over it. 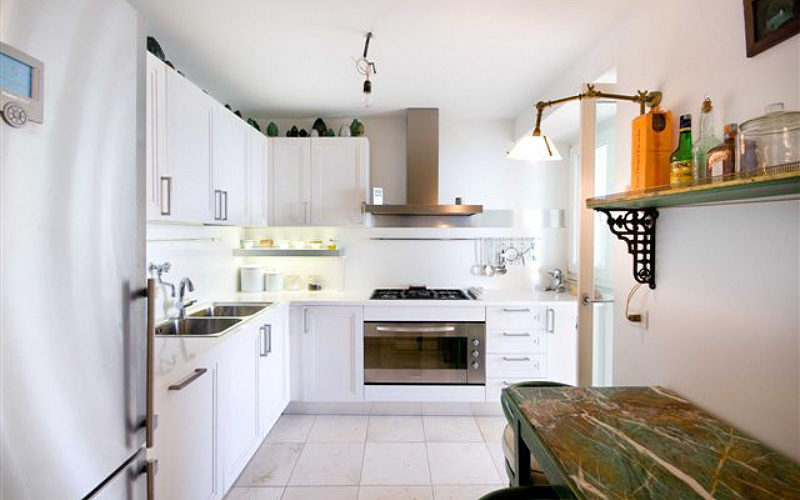 Don't want to bother making breakfast or cleaning up after the kids? 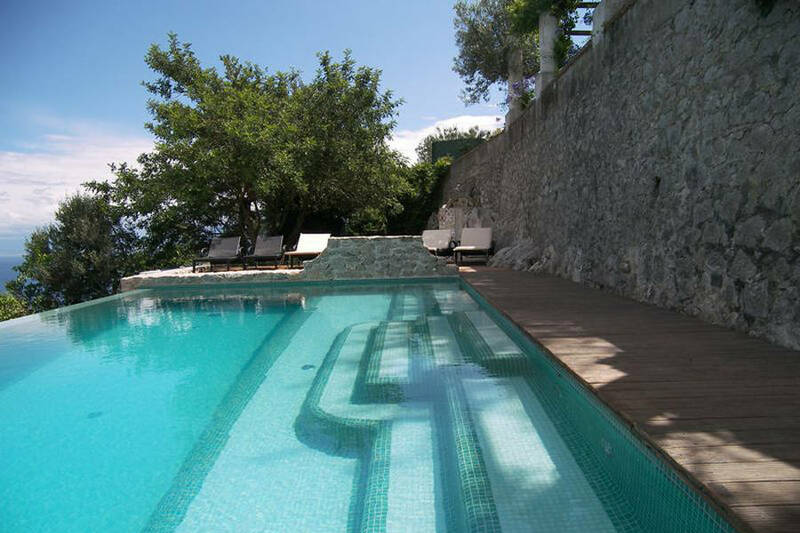 No problem: Villa Venere's staff will do it for you! 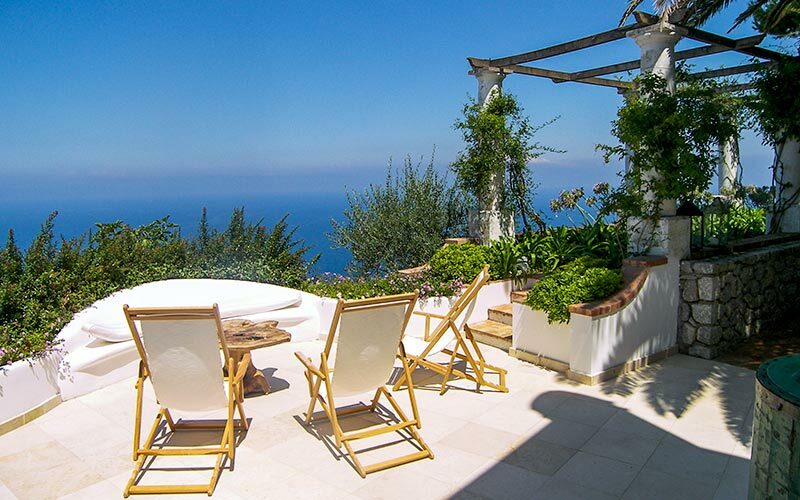 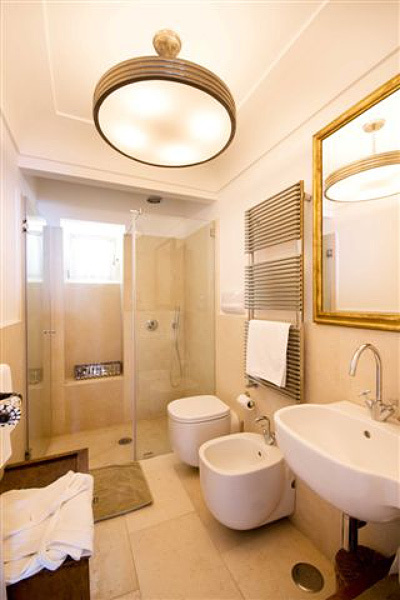 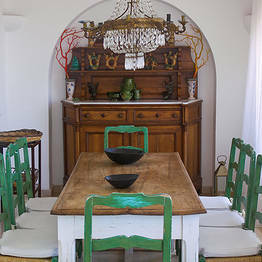 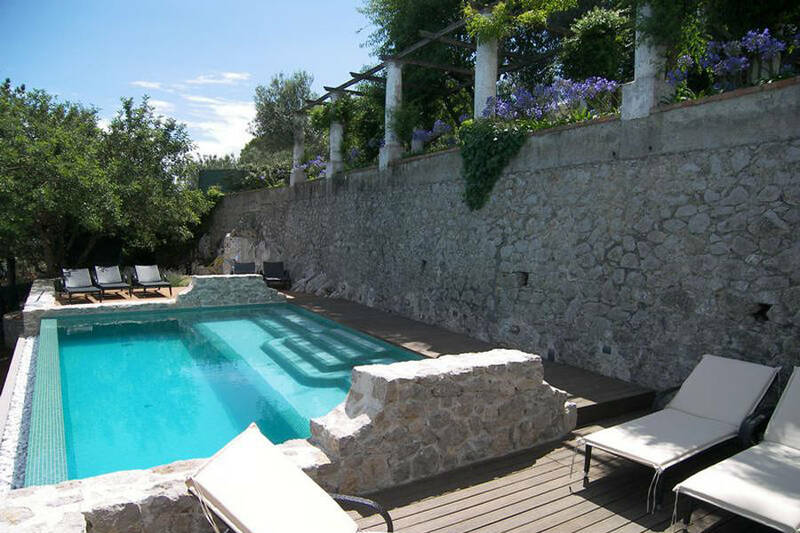 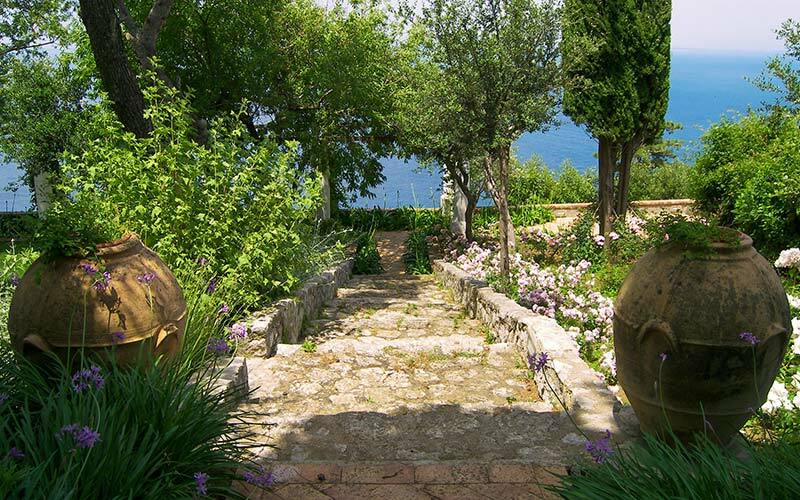 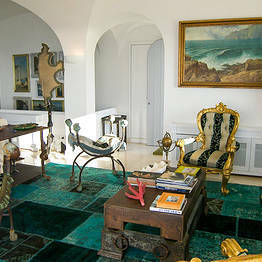 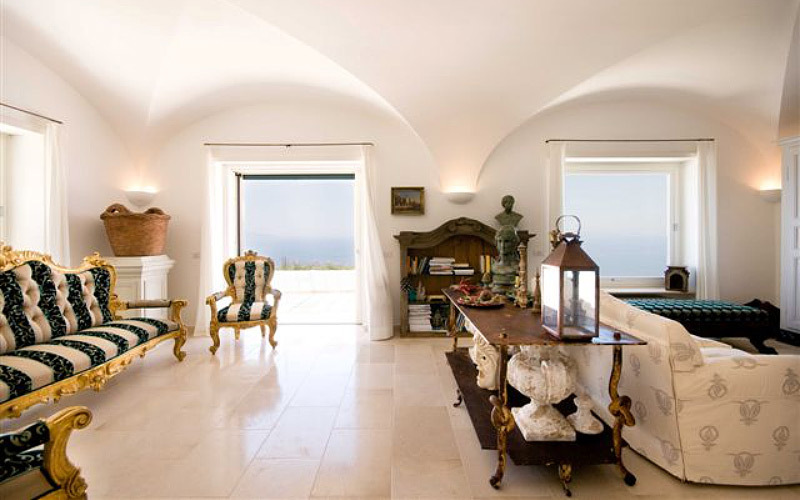 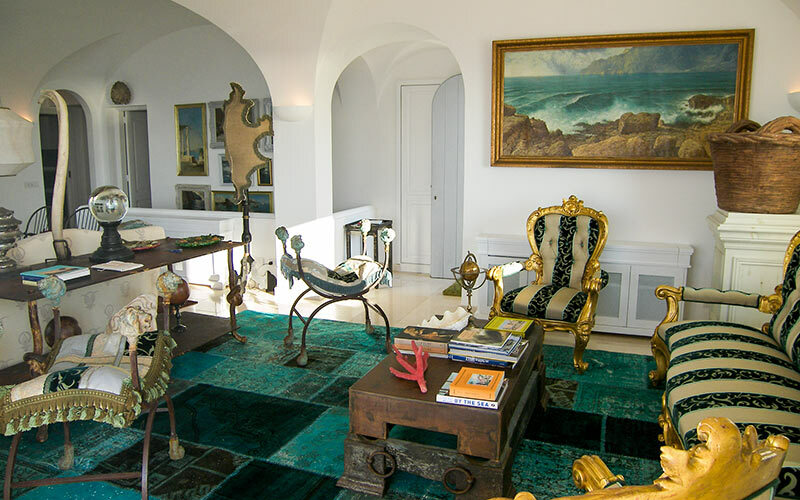 Villa Venere is not the only prestigious property available for weekly rental on the island. 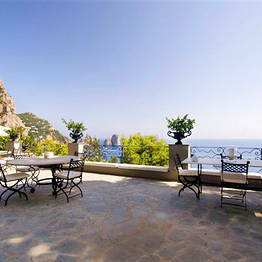 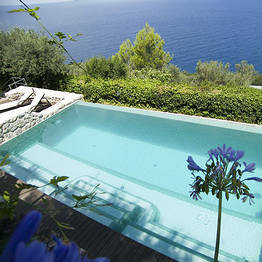 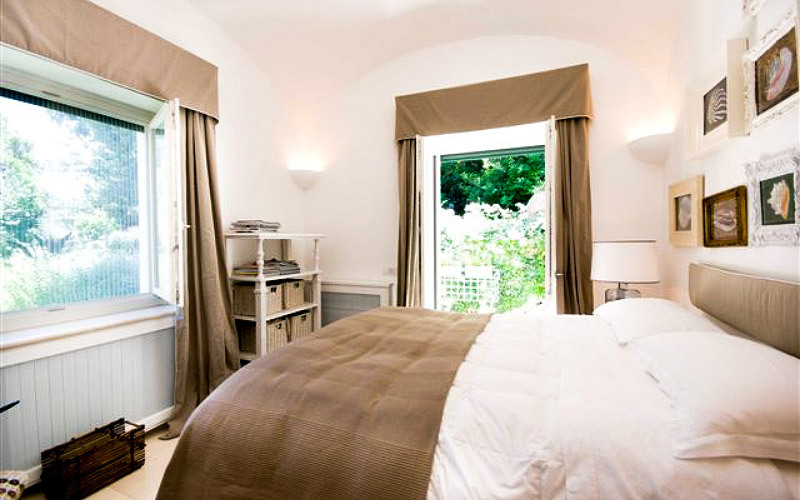 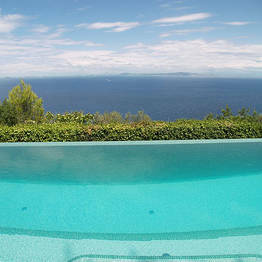 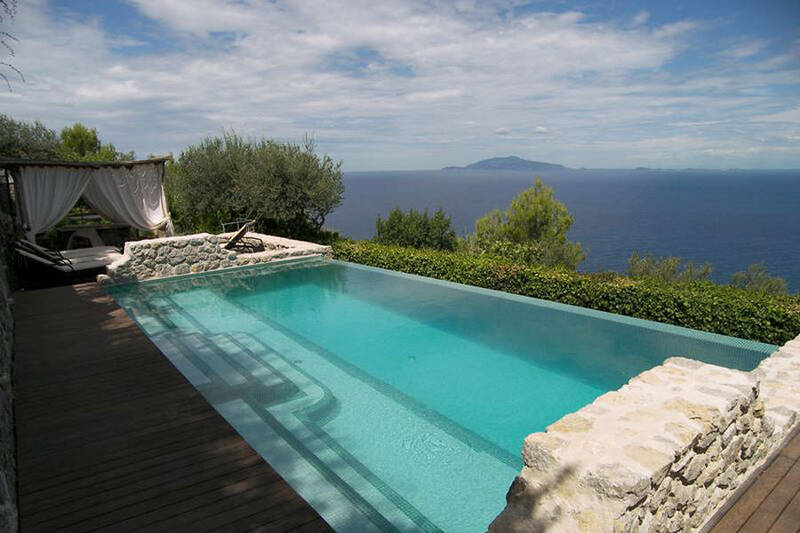 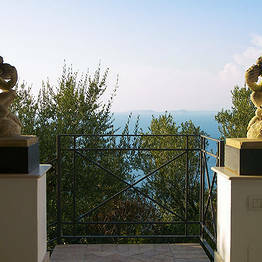 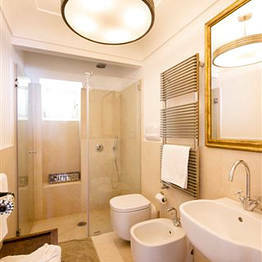 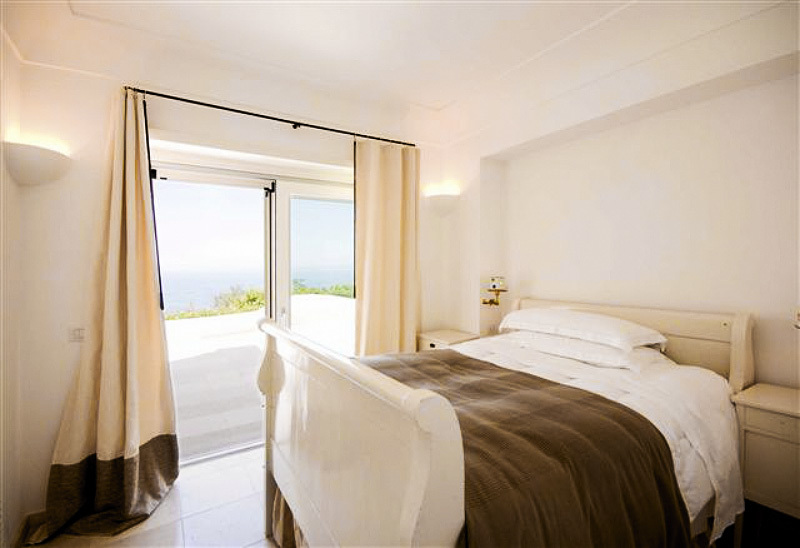 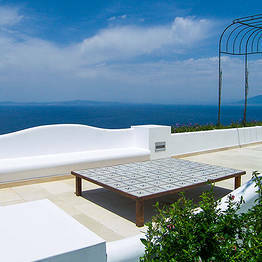 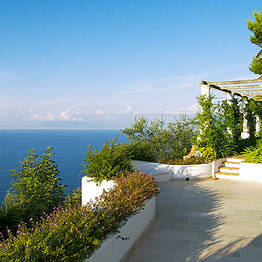 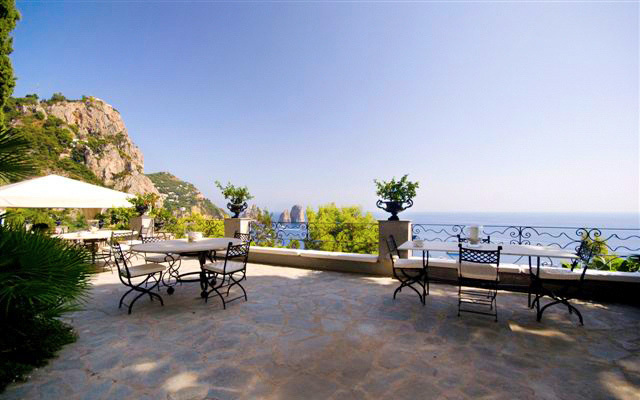 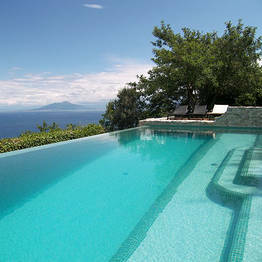 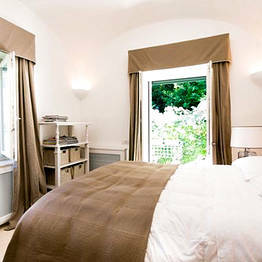 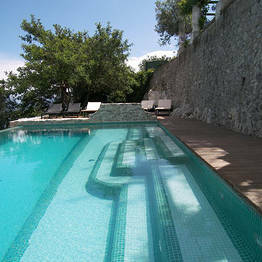 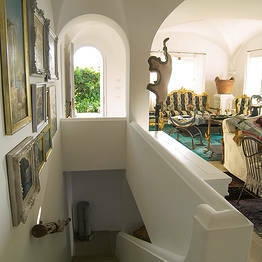 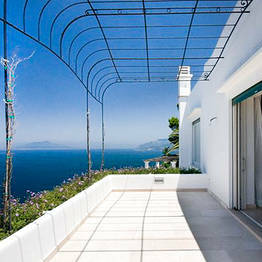 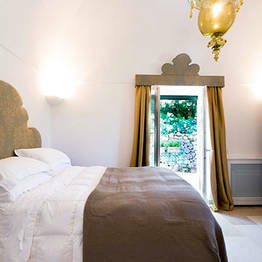 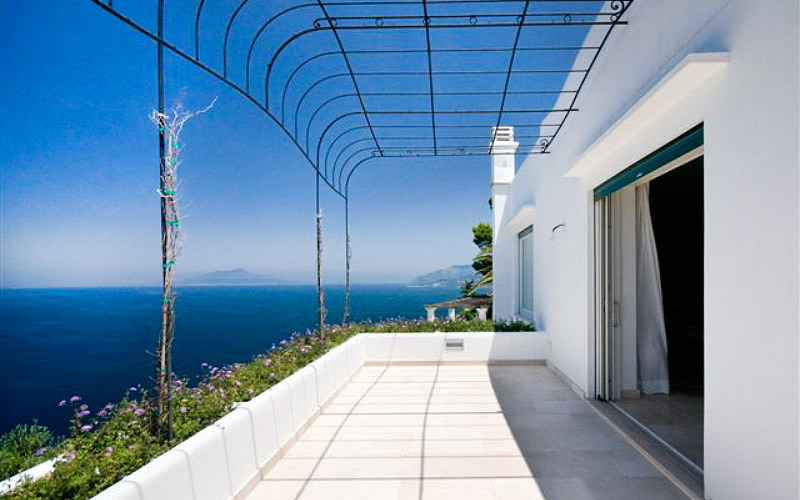 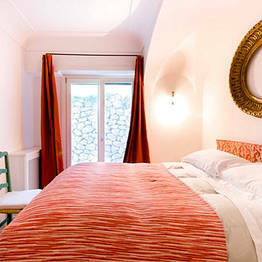 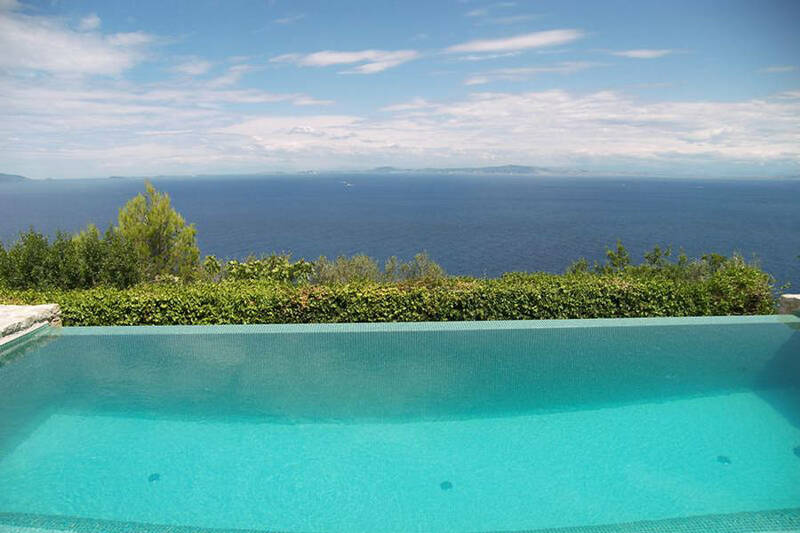 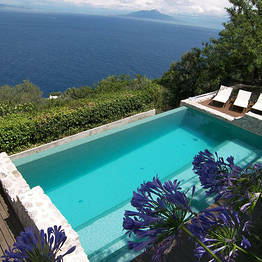 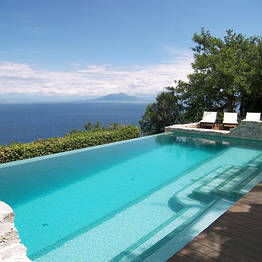 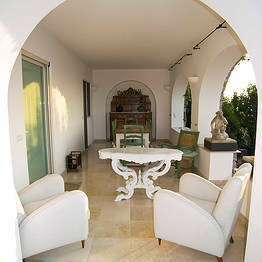 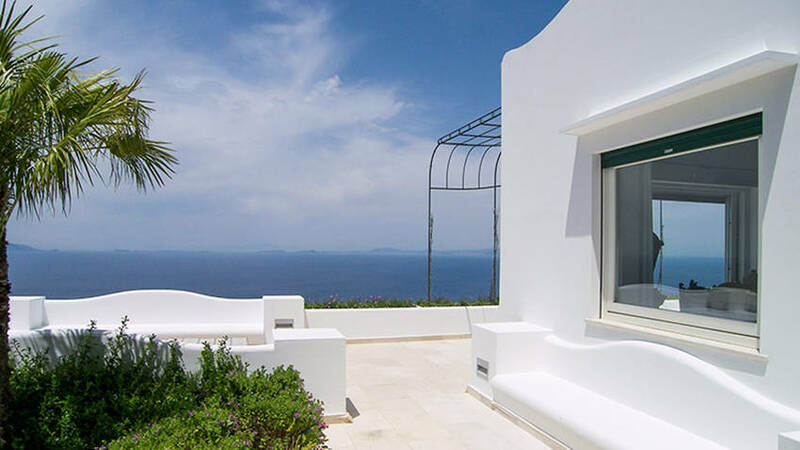 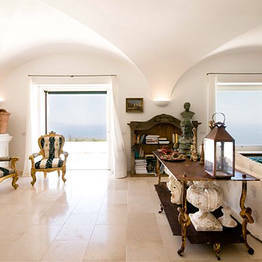 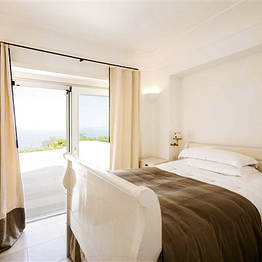 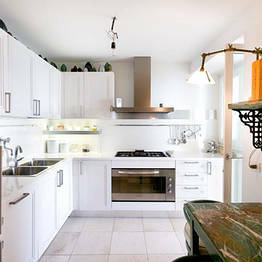 You'll find another 20 dream holiday homes located in Capri and Anacapri in Capri Villas luxury collection.